Recently we’ve had a number of customers call us with the bottom lid of their Macbook laptop trying to come away from the chassis of the machine. Sometimes it happens on the keyboard side too, so the keyboard appears domed in shape. All this is often accompanied by the laptop not working properly, if at all. But this is not major problem, and you don’t need to bin the Macbook! 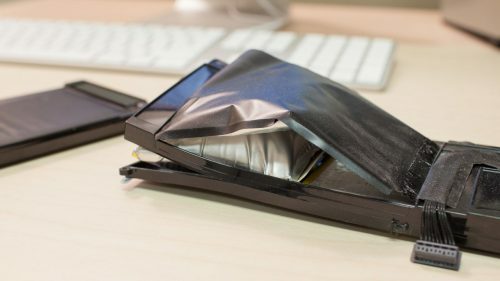 It’s just the battery cells have inflated with use, and the battery needs to be replaced. This is an easy job which takes just a few minutes.The cost isn’t too expensive- certainly a lot cheaper than buying a new Macbook! Call us on 0800 587 0346 for same day service to have us replace your battery.